The new tornado warning is the red polygon in eastern Tarrant County, Texas. Location of the tornado is circled. 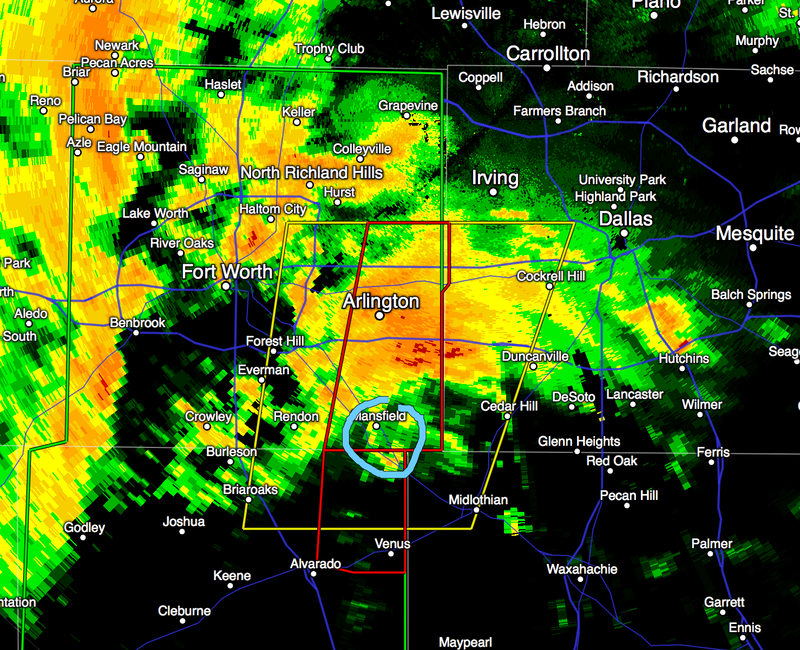 It is moving N to NNE toward Arlington or Grand Prairie.